When conflicts arise in your guild, it can be a very awkward experience for all your guildmates. What starts out as a measly little argument can grow until it is a full fledged war that makes everyone feel uncomfortable and horribly divides the guild. Guild conflicts are often times started by meaningless comments that may start out innocently, but in time grow and grow, quite in the same way that a snowball rolling down a snowy hill grows. Nobody enjoys or appreciates constant fighting in the guild. Because after all, a guild is a place to talk to friends, and when the message board resembles something close to a battlefield, everyone feels miserable. The easiest way to handle conflicts in your guild is to be sure that they never arise in the first place! This should be a bit of a no-brainer, but nonetheless I've still taken the liberty of writing a few guidelines on what not to do or say. Be aware that not everybody is bound to share your same opinions. Therefore, watch what you say. If you are aware that certain members of your guild happen to be Jazan fangirls, don't say anything particularly negative about him that might upset the fangirls. This advice applies to nearly every subject. If a certain member of the guild favors a certain genre of music, please refrain from saying rude comments about that genre of music. By being aware of other people's opinions, you can easily prevent arguments in the guild from occurring. This is a rule that should be followed no matter the situation! Respect is a vital ingredient for making, and keeping friends. Please be respectful of your fellow guild mates. One of the very most important rules to remember when you're talking to people online is to watch what you say. And remember, if you wouldn't say it to somebody in person, please don't say it to a screen! This is very important! It is a proven fact that 99.99% of guild arguments arise by mindless things people blurt out without thinking! If you dislike a certain member of the guild, even if they aren't online, please don't post rude or hateful comments about that certain member of the guild. Even if they aren't online that doesn't mean they won't see that message. They could simply read back the past guild messages, or another member of the guild could tell them about the hateful comments you made. Manners are possibly the most important possession a person could own, no matter where you are on Neopets, or anywhere, for that matter! Be polite to your fellow guild members! There's an age old rule known to people all around Neopia, and that is treat others as you wish to be treated. If you wouldn't want somebody saying a rude comment about you or something you like, then why would you say something hurtful about somebody else?! Sometimes conflicts are inevitable, and whether you are one in on the arguments, or just a neutral bystander, there are some things you can do to help keep the fighting at bay. If you are not already involved in the conflict going on in the guild, it's best to just remain neutral. This way, you are at less risk of upsetting anybody in the guild. By choosing sides, you're just feeding fire to the flame of the argument. If you feel that the argument is getting a bit out of hand, just politely tell the people fighting that their conversation is going a bit too far. If you tell it to them nicely, I'm sure they'll understand and they won't get angry with you. If you find yourself in a heated disagreement with a certain member of your guild, it's best not to provoke them more than you already might've done. If that person continues to harass you, or seems to have a problem dropping the subject, it's best to just ignore them! This may be difficult, especially if they continue to say nasty things, but if you just ignore them and act as if what they say doesn't bother you, then he or she will soon get bored and stop pestering you. This is perhaps the must important thing to remember when faced with an argument in your guild. If you keep your head rather than yelling at the person you're fighting with, you will see an end to this fight very quickly. Also, even if you are angry with this particular person, rather than getting so mad that you lose your head, simply remain calm. This will allow you to think more clearly, and will prevent you from saying something you will really regret later. If all else fails, just remove yourself from your guild for a little while! Take the time that you would've normally been spending chatting with your guildmates to go to the gameroom and work to earn some NP to put toward your goal of that new paint brush/ lab map/ hidden tower item. Or perhaps you could take the time to travel around Neopia, and rediscover hidden places around the globe which you used to know and love! 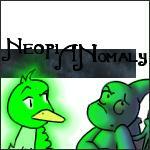 Or maybe you could crack open the good old Neopedia and research all your famous Neopian characters!